Our hand strapping is perfect for bundling packaging together, unitising cartons and as pallet strapping. 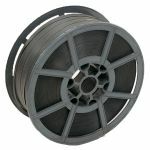 It is supplied in several strengths, on a core reel of either plastic or cardboard, and caters for many applications, from light to heavy duty packing tasks. Our hand strapping / pallet strapping is safe, light, and easy to manage. 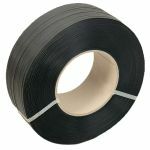 The strapping can be secured conveniently with metal seals (used with hand strapping tools) or handy or plastic buckles. 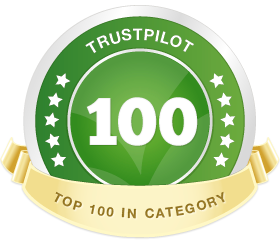 It is ideal for use in many industries, including palletising, packing furniture, packing tiles or other construction materials, tying paper and cardboards, and securing loads during transport. The strength, durability and flexibility of our range of hand strapping make it the perfect choice for light to heavy duty applications. The polypropylene strapping is a great replacement for traditional steel bands as it is economical, light, easily managed, protects against moisture and humidity and does not corrode. Our hand strapping offers just the right tension, stretch and strength to save you time and money, with a choice of three breaking strains: light (130kg), available on a plastic core reel, and medium (190kg) and heavy duty (240kg), both available on a plastic or cardboard core. Plastic strapping is not affected by moisture and humidity, is clean and fibre-free. Our polypropylene hand strapping (or box strapping) can be used for bundling your packaged products together in one parcel, closing cartons or as pallet strapping, fastened with plastic buckles or metal seals. It can be used with hand strapping tools or a hand strapping machine, and is the ideal packaging solution, perfect for packing furniture securely or tying bales together.